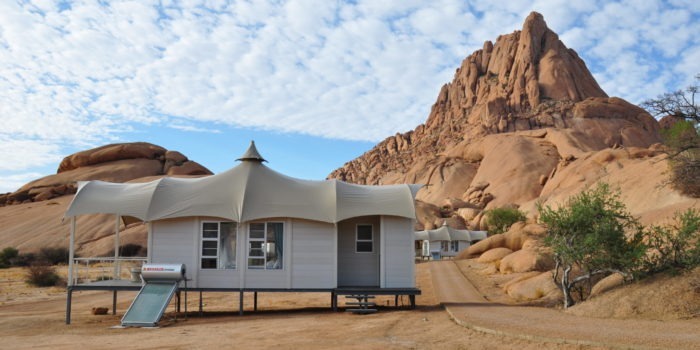 A camp that just has the ‘special feel’ about it…. 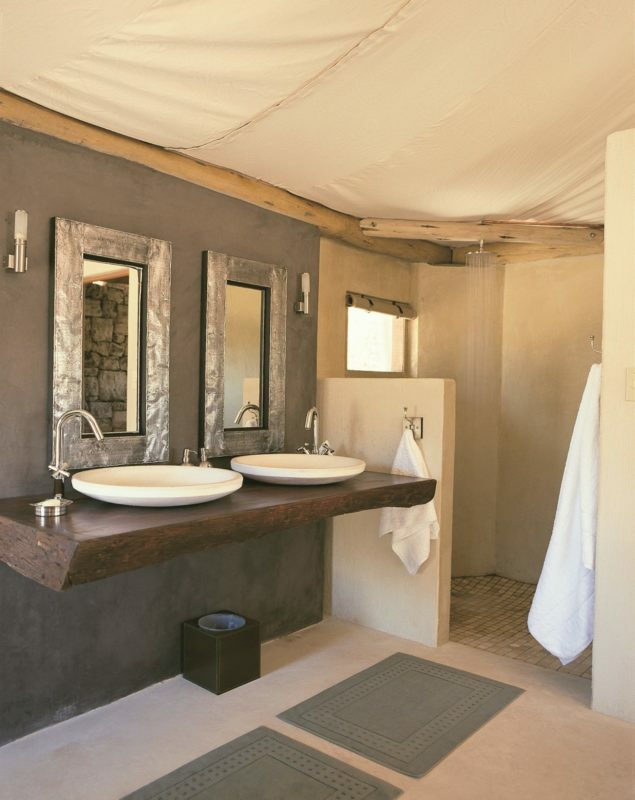 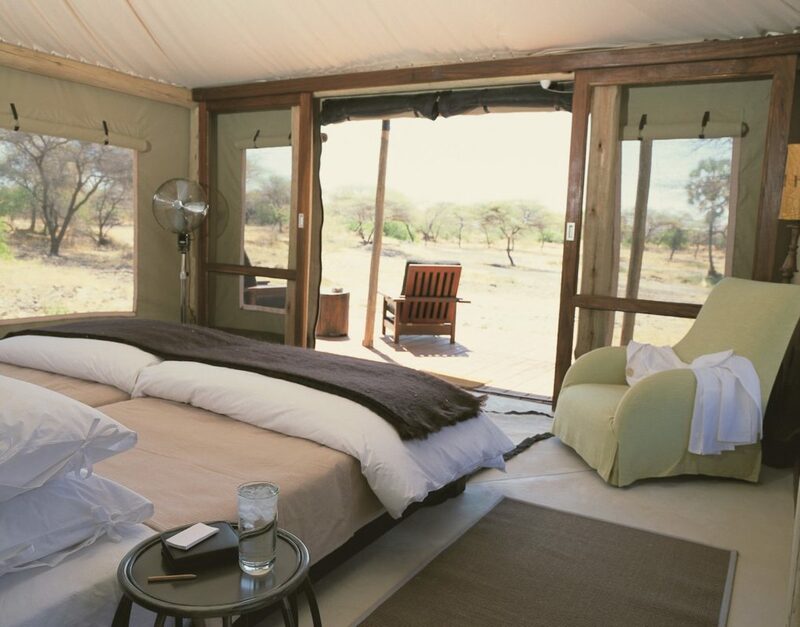 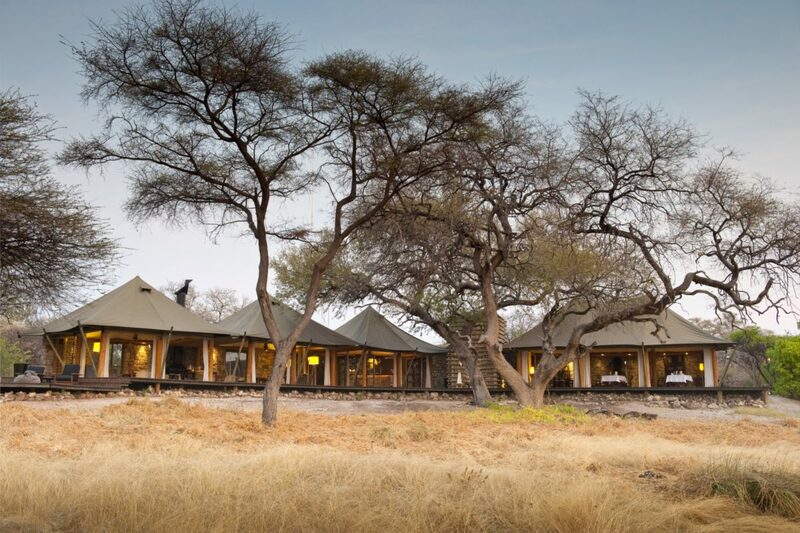 Onguma Private Game Reserve lays in the east of Etosha National Park, bordering Fisher’s Pan. 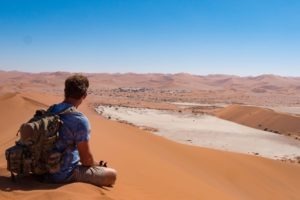 The Reserve stretches over more than 34,000 hectares of protected land and offers opportunities to experience the African wildlife in all its beauty and diversity. 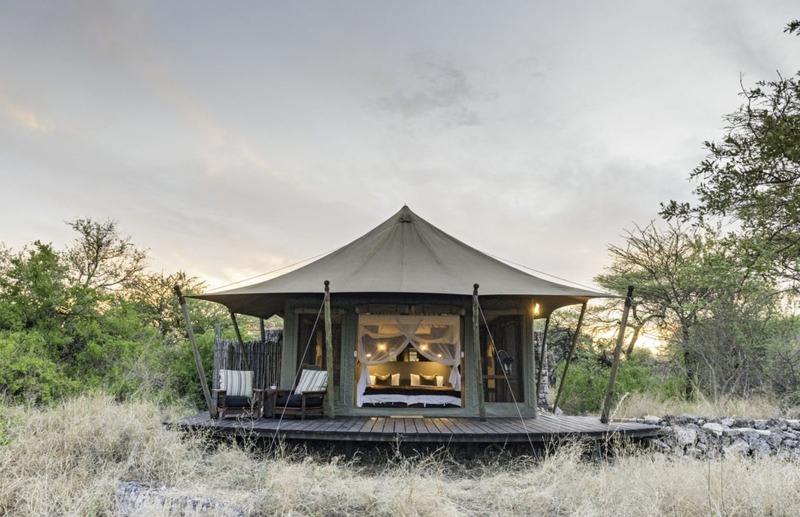 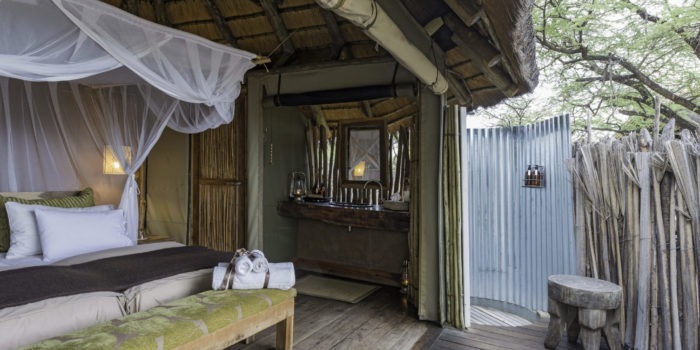 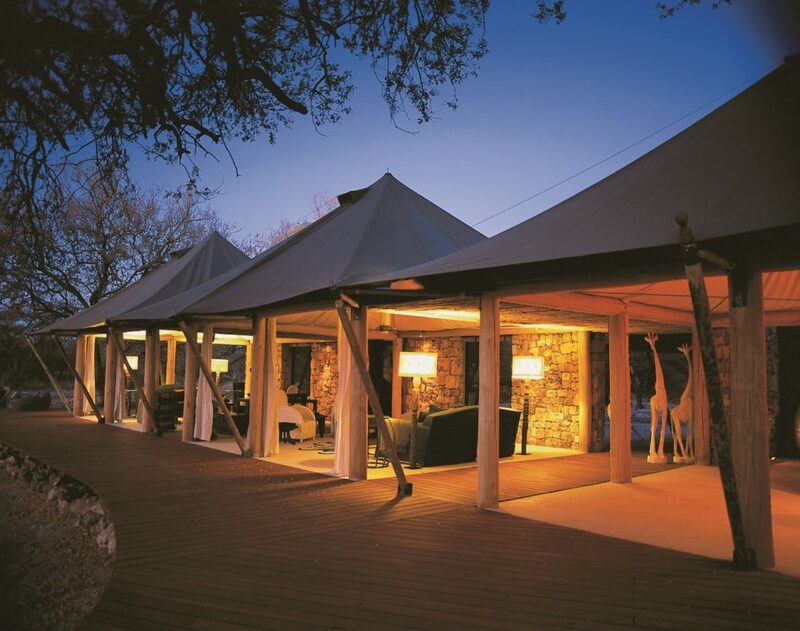 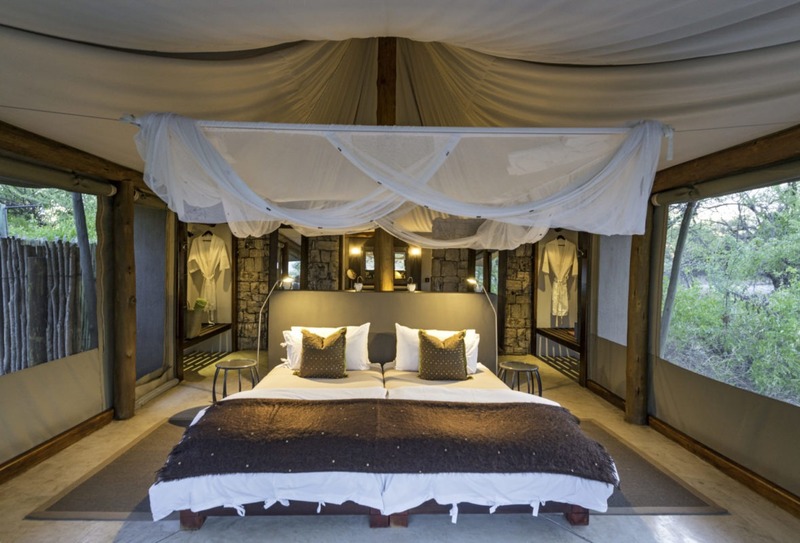 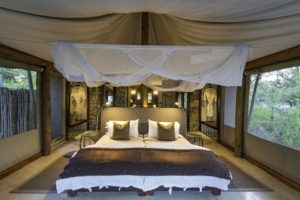 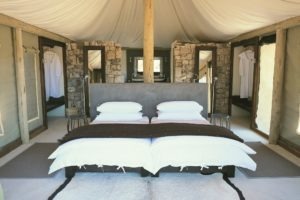 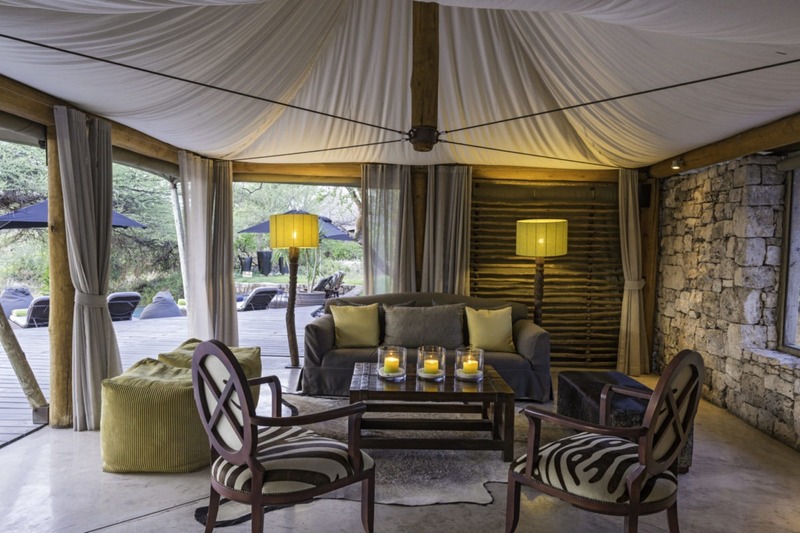 Onguma Tented Camp consist of seven tents all designed to provide a private and exclusive stay. 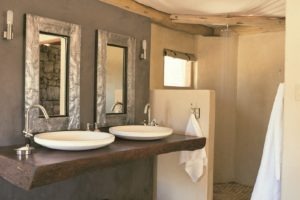 Textures such as stone, suede, linen and steel create a setting that is sleek and modern, but also inherently of the earth. 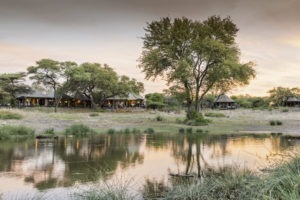 A waterhole, approximately 60 meters from the lodge gives you the chance to witness most of the big game up close, very special indeed! 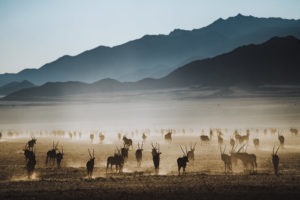 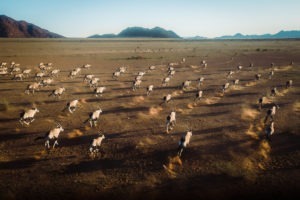 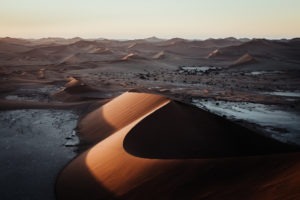 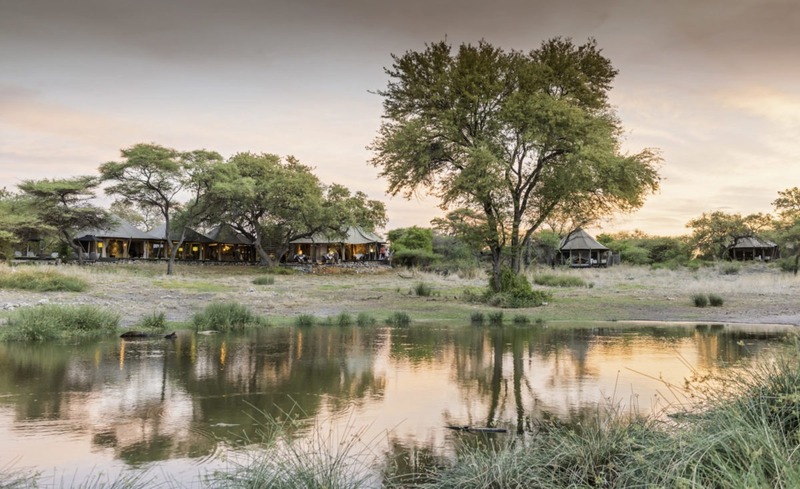 The reserve is inhabited by a diversity of around thirty different mammal species such as kudu, giraffe, eland, oryx, zebra, as well as predators such as lion, cheetah and leopard. 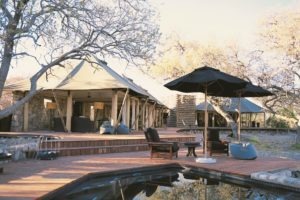 The latest addition to the already abundant wildlife at Onguma Game Reserve is a family of black rhinos! 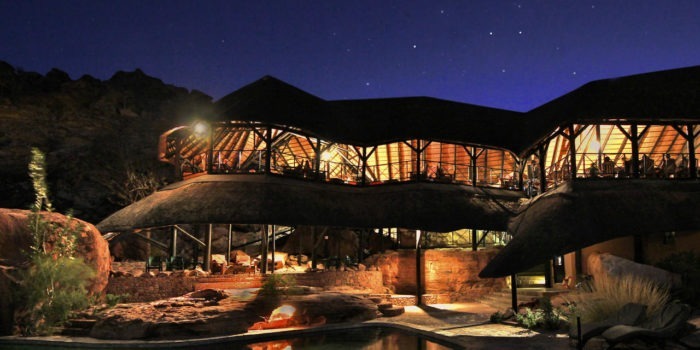 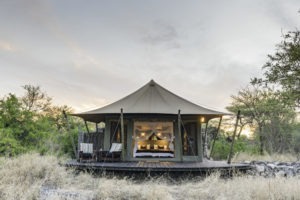 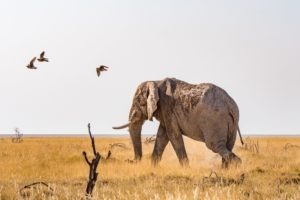 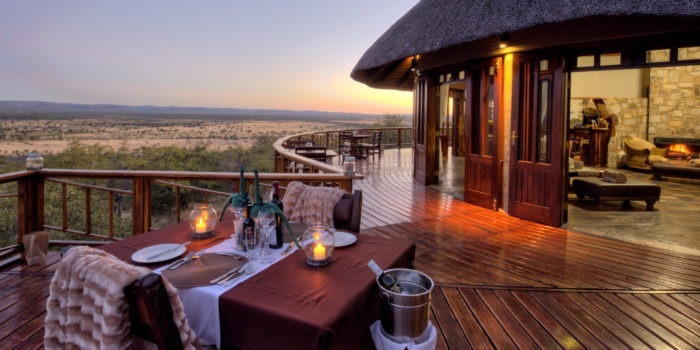 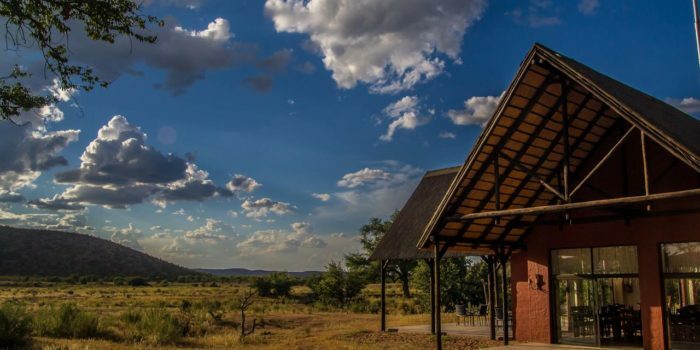 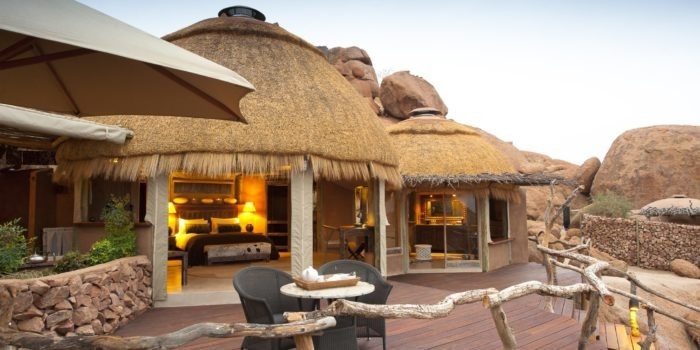 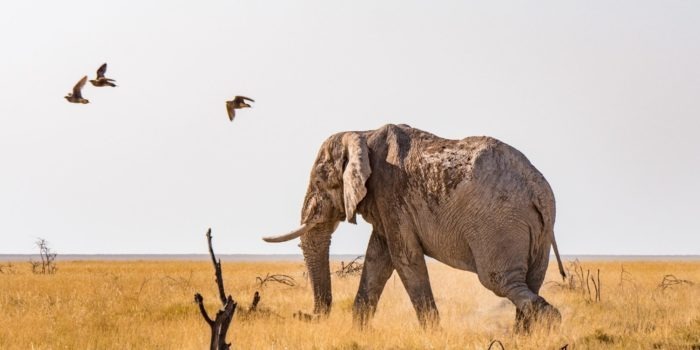 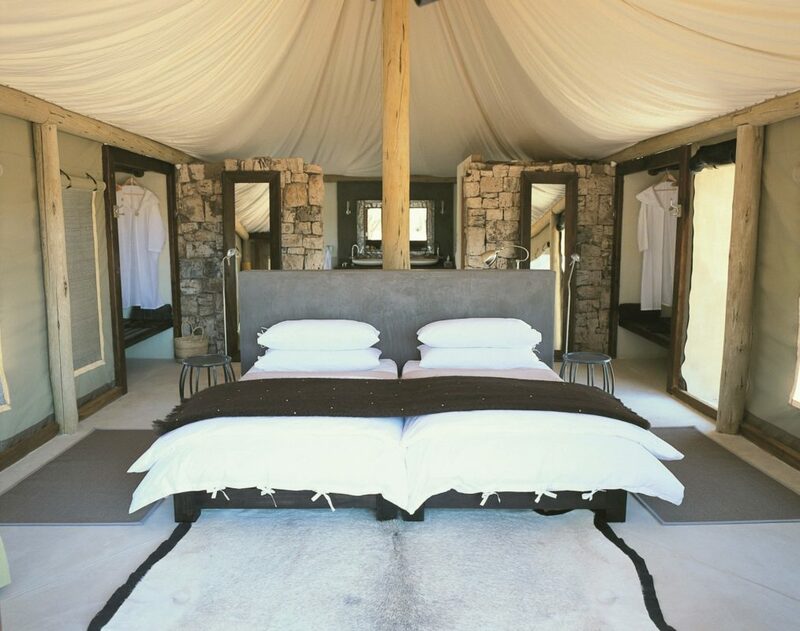 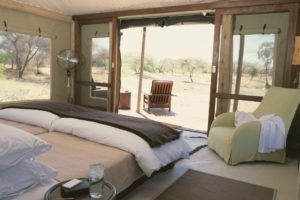 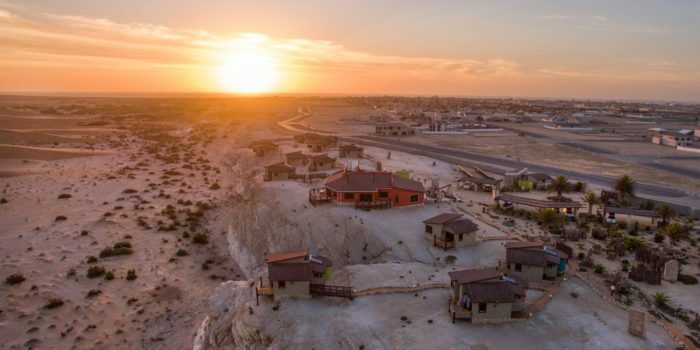 The private game reserve hosts a number of lodges and camps for all budgets and offers numerous activities including walks and game drives into Etosha National Park. 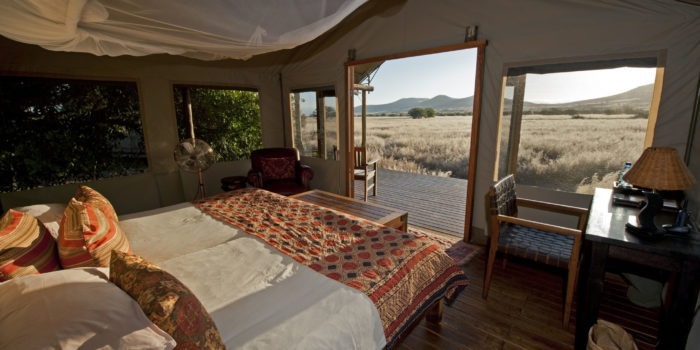 The private game reserve offers special safari experiences with most of the big game around. 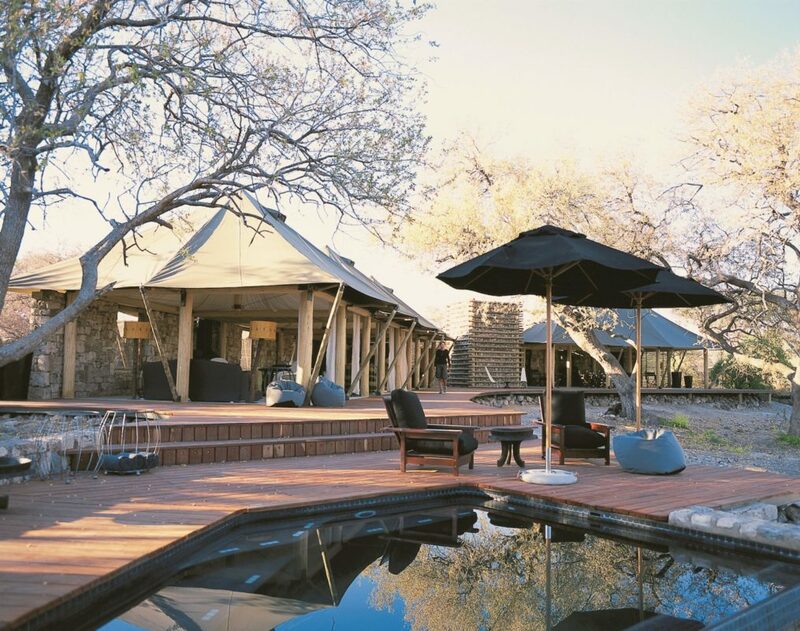 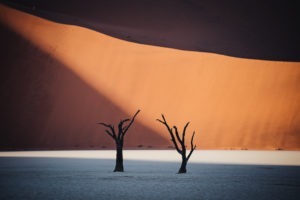 The camp has a unique location directly bordering Fisher’s Pan in Etosha. 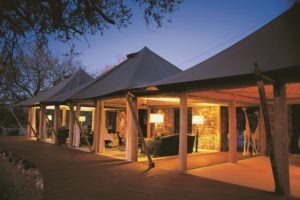 Private tents with great attention to detail offering an exclusive stay.